Highlights from Cardiff's 2-0 win at Brighton in the Premier League. Nathaniel Mendez-Laing and Sean Morrison boosts Cardiff's fight against relegation with a crucial 2-0 win against fellow strugglers Brighton at the Amex Stadium. Mendez-Laing opened the scoring with a brilliant curled strike in the 22nd minute to hand the visitors the initiative. 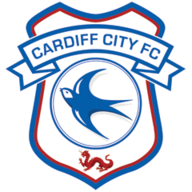 Although Brighton dominated possession for long periods, Morrison extended Cardiff's lead with a header from a free-kick five minutes into the second half against the hosts who lacked an attacking spark. The result means 18th-placed Cardiff, who have four games to play, now move to within two points of their relegation rivals Brighton. For Brighton in 17th, their fourth consecutive league loss means cause for concern, but they do have one game in hand over Cardiff. In the ninth minute there were early claims for a spot-kick. Bruno Manga appeared to drag down Lewis Dunk in the box after a free-kick, but referee Andre Marriner waved away the protests. Twelve minutes later, with Brighton looking the more likely to take the lead, Cardiff broke the deadlock. Pascal Gross, Solly March, Glenn Murray returned to the starting XI. Bruno and Alireza Jahanbakhsh also came into the team. Joe Ralls, Nathaniel Mendez-Laing and Oumar Niasse came into the Cardiff team. On the counter-attack, Mendez-Laing curled his stunning right-footed strike into the top corner from the edge of the box. Alireza Jahanbakhsh flashed a shot on goal that was comfortably saved by Neil Etheridge shortly after the restart, but it was Morrison who put Cardiff two up after he snuck in behind Lewis Dunk and met Victor Camarasa's cross to nod in from close range. 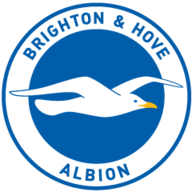 Brighton came close to pulling a goal back through Glenn Murray in the 70th minute, but his driven strike rose over the bar. The 35-year-old striker came close again in injury-time, but his close-range header smashed off the crossbar which meant a rare clean sheet for Cardiff in their revitalised push for Premier League safety. Cardiff's Sean Morrison has scored his third Premier League goal, his first for the Bluebirds and his first for 2327 days since scoring for Reading against Manchester United in December 2012. 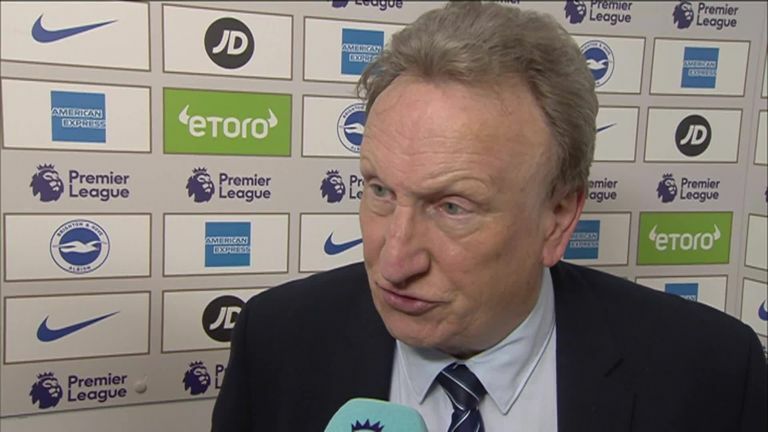 Cardiff boss Neil Warnock said his side totally deserved their 2-0 win against Brighton. Neil Warnock: "We are alive and kicking. We've made it interesting for Sky for Sunday. 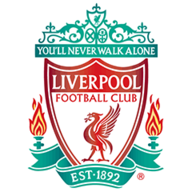 It's better than us being relegated so it's going to be a good game on Sunday [against Liverpool] - a full house. 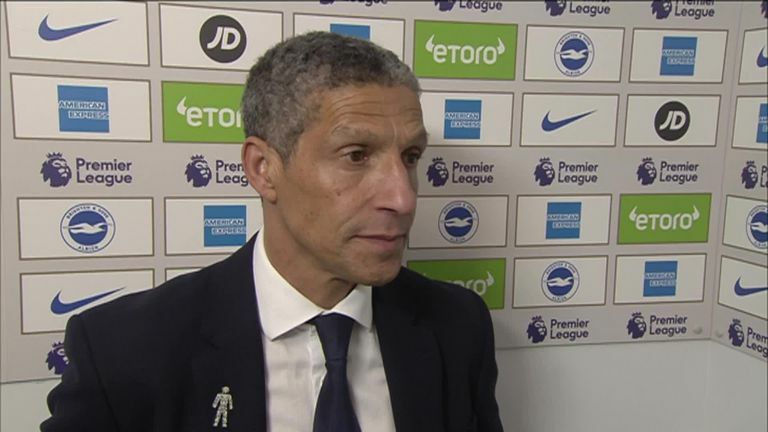 Brighton boss Chris Hughton felt his side deserved a penalty in their 2-0 defeat to Cardiff but admitted they lacked quality in the relegation clash. Chris Hughton: "A tough night and probably a reflection of where we are at the moment. We pushed but unless we're managing to get goals we're generally on the back foot. "You become susceptible to the quality they showed on the first goal - and the naivety from us with the set-play - but that's a feel of where we are at the moment." 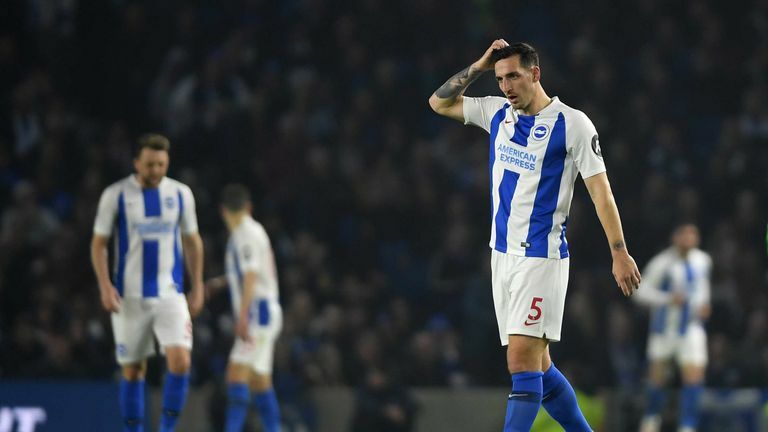 Former Brighton defender Liam Rosenior looks at where things have gone wrong for Brighton, who are now two points off the relegation zone. He told The Debate: "When you're down there and on a poor run of results, you're naturally going to lack confidence, so when something like that goes against you, it's even harder to then go again. But I've got no doubt, that's a strong dressing room with some strong leaders. "They will go to Wolves, and they will give absolutely everything. I thought that Saturday was a wake-up call for everyone at the club, but this is a huge wake-up call - and there's always one team that gets dragged in, and there's always a team that gets a result out of nowhere to get themselves out of trouble. "I have no doubt they will head to Wolves hoping it's them on Saturday." Morrison's goal came at a vital time with Brighton pushing for an equaliser, while he was also instrumental at the back. The 28-year-old centre back, alongside Manga, combined well to keep out the attacking threat of Glenn Murray and substitute Florin Andone. Brighton travel to Wolves on Saturday. Cardiff, meanwhile, host Liverpool on Super Sunday - live on Sky Sports Premier League.